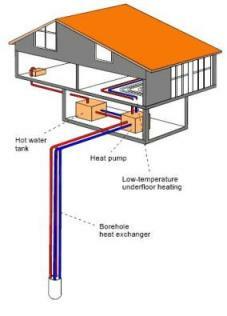 What is Geo Thermal Energy Heating and a Ground Source Heat Pump? Are Ground Source Heat Pumps Cheap To Run? How Much Land Area is Required for The External Pipes/Coils? How is This Heat Used in My Home? What's Cool About Ground Source Pumps? Basically a ground source heat pump (GSHP) is a geothermal heating system a device for removing heat (the geothermal energy) from the ground (thermal energy), and transferring this heat at higher temperatures to your home. Heat pumps work on a similar principle as your household refrigerator, extracting the heat from the contents of the refrigerator and then transferring it to the grill at the back. With ground source heat pumps, the thermal energy heat is extracted from the ground then distributed to your home. The inversion-cycle allows ground source heat pumps to draw the heat from your home in the summer therefore cooling it, and dump that heat into the ground as a winter store. See how the heat exchange process works. Ground source heat pumps (Geo thermal energy heating), and similarly air and water heat pumps, are generally cheaper to operate than other traditional residential heating systems. Geo thermal energy heating uses a renewable source by tapping into the free heat from the sun that has been absorbed into the ground (or air or water) so enabling this type of system to give back more energy in the form of heat than the equivalent amount of electrical energy they consume to operate. For example, in heating mode a highly efficient ground source heat pump can extract energy from the ground and transfer it to your home at a ratio of 1:4 or more. Let's say for every 1 KW/h of electrical energy that you use to drive the heat pump, around 4 KW/h of thermal energy will be produced for use in your home. This ratio is generally given as the 'coefficient of performance' or 'COP' for heat pumps that are working in heating mode, and 'COP' is calculated by dividing the input KW/h into the output KW/h. In cooling mode (inversion-cycle) the ratio is called the 'energy efficient ratio' or 'EER'. The higher the EER and COP ratios the more efficient the system. The installation cost of a ground source heat pump system is currently slightly higher than a gas fired central heating system, but this is quickly recovered as the running cost is substantially reduced. Moreover, the installation costs of ground source heat pumps are falling as they are becoming increasingly popular and Geo thermal energy heating is renewable. The external pipes or coils, commonly called 'captors', can be laid horizontally or vertically depending on how much land space you have available to use. If you have a large garden you could lay the captors horizontally, so as a rule of thumb if your home has 100m2 of usable floor space you would need 150m2 of ground area to lay your captor(s) (a ratio of 1:1.5). Installation depth for horizontal captors varies from 300mm to 2 meters. However, if your garden cannot meet this ratio you can lay the captors vertically and you will only need 150mm diameter for each borehole (drill depth can vary between 32 and 180 meters and is dependent on your energy requirements). A number of boreholes can be made, but be aware that increasing the number of boreholes increases the demand on the pump. Bigger pumps equate to bigger costs. Alternatively, you can have a combination of both horizontal and vertical heat exchangers (captors) maximizing the thermal energy heating. System configuration is dependent on land area and your budget. 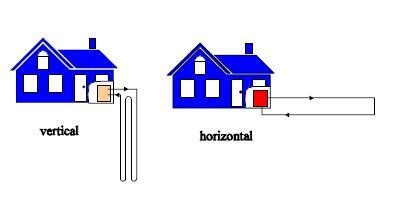 The captors used in both vertical and horizontal installation for ground source heat pumps are the 'Closed Loop System' type. Because ground source heat pumps (thermal energy heating) produce lower temperatures compared to other heat generators, such as home heating boilers,they are ideally suited for underfloor heating systems that require lower operating temperatures. If you would like to read the conclusions of a residential 'Low Energy House' experiment using renewable energy systems that was conducted some years ago in Japan click here (opens in new window). 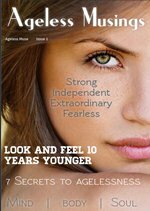 The results will amaze you. The efficient use of geo thermal energy heating helps to reduce fuel bills and cuts atmospheric emissions of gases such as carbon dioxide (CO2), sulphur dioxide (SO2) and oxides of nitrogen (NOx) which is better for us - and the planet.